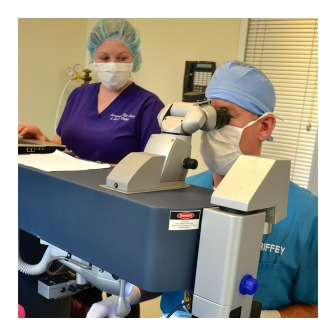 At Griffey Eye Care & Laser Center, Our team of well-trained eye doctors and staff provides the most up to date technical and surgical techniques for your eye care needs. 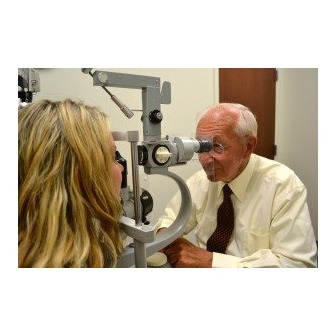 Our physicians have more than 50 years of combined experience in eye care services such as cataract surgery, glaucoma treatment, LASIK/PRK, eyeglasses, contact lenses and many others. We have full-service boutique and our licensed opticians opticians are specialize in face shape, coloring and vision needs. We have wide variety of over 700 designer frames from Adidas, Coach, Ray Bans, Oakley, Gucci, Kate Spade, Maui Jims (sunglasses only) and Silhouettes (eyeglasses only). 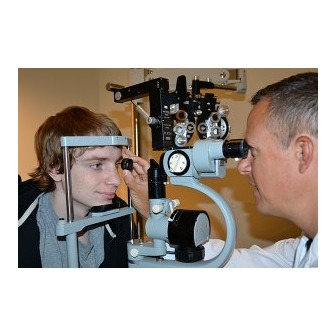 We accept most vision plans and offer discounts for private pay patients. Available in Currituck and Elizabeth City of NC as well as Chesapeake, VA. For more information, contact us today.